Autumn Cycling in Sonoma County – It’s “de Vine!” 2016 Was Perfect. THANK YOU FROM THE CLOVERDALE ROTARY CLUB. When is the ride date? Click on the Green Button to the right. (Click here for details on registration dates.). What are the costs for individuals? 25k, 50k,100k and 100 Mile Rockpile rumble rides are all $85.00. Each paid individual registration fee includes our bountiful delicious lunch as the end of the ride. Students 14 – 17 costs are $40.00. Each paid individual registration fee includes our bountiful delicious lunch as the end of the ride. Lunch with a registered rider is $35.00. Yes bring your friends, be sure to register your friends on line. DUE TO THE SIZE OF THE EVENT AND ADMINISTRATIVE COSTS THERE ARE NO REFUNDS BEING OFFERED. TRANSFERS WILL BE OFFERED ONLINE AND THE RIDER CAN MAKE THEIR OWN TRANSFER FOR A $15.00 FEE. LAST DAY FOR TRANSFERS WILL BE October 1, 2019. Get Registration Protector for an additional $7 per registration. If you can’t attend this event for any number of covered reasons, including injury, illness, traffic accidents and more, you’ll be reimbursed for your registration cost, fees and other related costs. This charge is in addition to the cost of your registration and will be billed separately by Allianz Global Assistance. You may cancel Registration Protector within 10 days of the purchase date and receive a full refund of insurance fees paid. Limitations apply. Team Registration is not available. Legal Stuff? Yes we have to have it. All riders must sign a Waiver of Liability Form you can review the form during the registration process. Minor Riders under age 18 must also have Parent/Guardian or Legal Guardian sign the Waiver of Liability Form. What is the highest elevation? If you choose the 100 Mile ride Rockpile Road is approx. 2000’ above sea level at 25 miles west of Geyserville. Where is the starting point of the Tour? 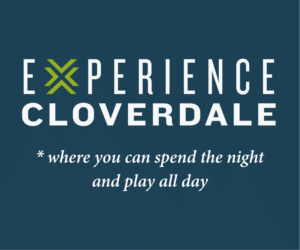 This leisurely tour begins in Cloverdale at the Historic Asti Winery – 26150 Asti Rd, Cloverdale, CA 95425. Check in between 7:00 am – 9:00 am. How to transfer a Registration. Below are the instructions to transfer your ride to another participant. It is a fairly simple process. Please note that a $15.00 transfer fee will be deducted from your refund and the last day to transfer registrations is October 1, 2019. NOTE Participants can only complete a transfer if the registrant is 18 or older, registered themselves online and is not part of a group-registration team. Additionally, permissions must be granted in the event set up for this action to be allowed. Follow the Claim this registration link. NOTE At this point the transfer process is complete and the original registration has been cancelled. NOTE The system will NOT refund the original registration until the new participant has accepted and completed the transfer. The original registrant will not receive a refund of the Active Processing Fees or any USAT membership fees (if applicable). The original registration refund will be deducted a $15.00 transfer surcharge. NOTE Transfers can only be completed into the same category. Example: If the original registration was for the 25K, the new registration must also be for the 25K, although they can change their category at the event. NOTE If a registration has transferred between categories BEFORE it is intended to transfer to a participant, this action will not be allowed to be completed.